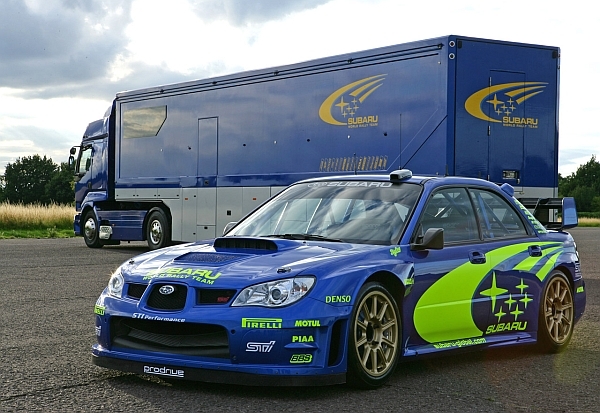 Subaru has only recently become famous in the WRC as Subaru WRX . 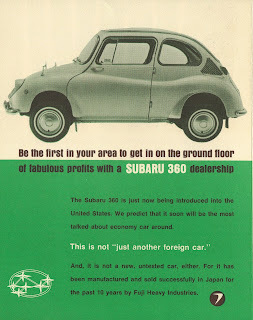 But the first Subaru was exported “360 minicar” to US in 1969. 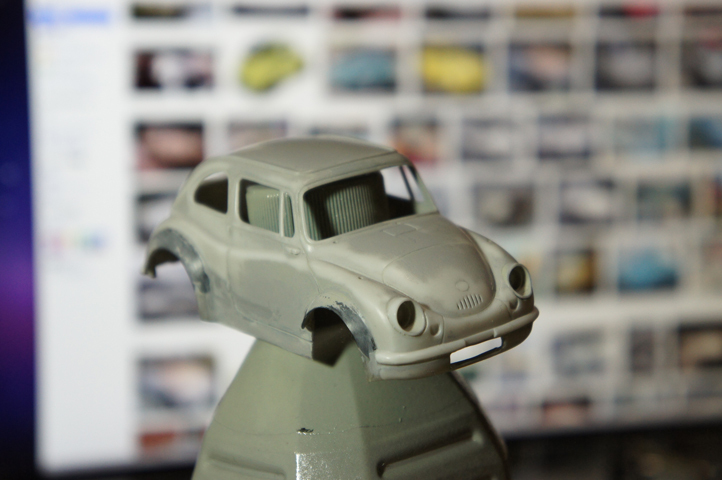 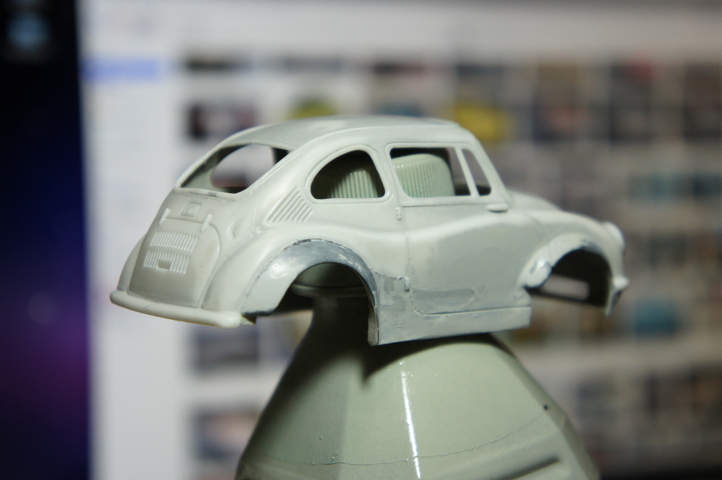 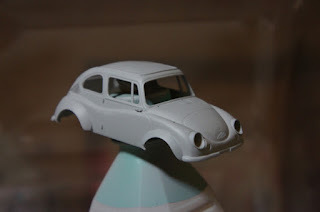 I started a small project to convert an ARII kit into a slot car. 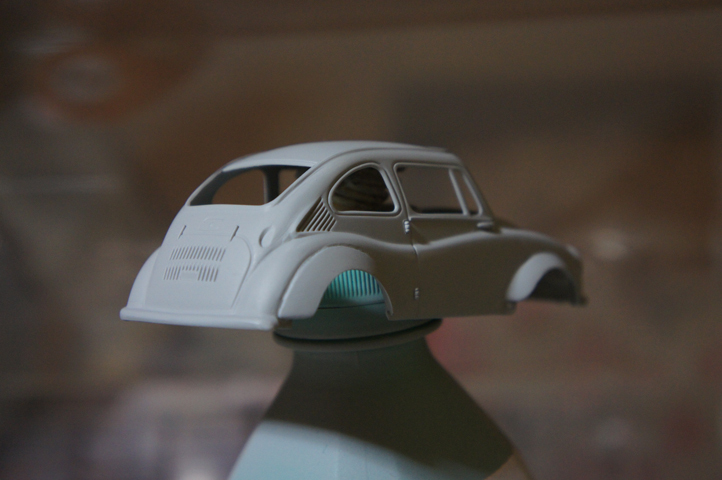 wide fenders from the kit, I wondered something missing. sills and front lower balance.